Three years after the departure of the Ayatollah Rouhallah Khomeini, Iran's political future remains uncertain. 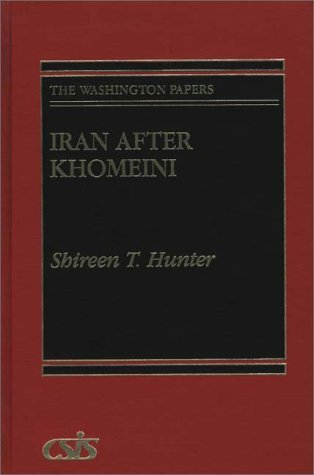 This volume explores the directions the Islamic regime and, more importantly, the Iranian society and nation are likely to take in the 1990s. The study begins with a brief historical survey of Iran's political institutions, its sociocultural traits, and its economic and military conditions, as well as its foreign policy orientation at the time of the revolution. It follows with a summary of the political, social, and economic changes the Islamic revolution introduced. These serve as benchmarks against which to measure the changes and reforms of the last three years and provide a basis for sketching the potential future directions of Iran's domestic evolution and foreign relations.